As the time for the Apple release is nearing, it only seems appropriate to take a look at what we know, and what we think we know as well, about the newest installment of the widely popular iPhone. Here are some of the biggest rumors, according to pcmag.com. The unveil is set for next Tuesday and the world is ready to see what Apple has to offer, especially in light of the recent sales and quality slips in comparison to new Android giants such as HTC and Samsung as well as cases that have come about regarding the foreign production of the new phones. Rumors are everywhere, though, about the new phones that will be revealed at the Apple store in New York City. The biggest rumor about the phones is that they won't come in the standard iPhone colors this time around. 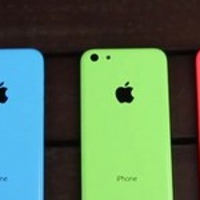 Instead, there will be a variety of different hues to choose from so your phone can now be a little more personal. This rumor has thus far been upheld as the invites for the event were also brightly-colored. It seems there will not be a basic black and white choice this time around, but you will get to choose from red, blue, yellow, green, white, and even possibly gold backs to place on the phone. The verdict: one point for Apple. The phone is also expected to be more affordable than the previous phones have been, and even more affordable than some of the top of the line plastic model Android phones that are outselling the iPhone right now. According to sources, the phone is set to be only $399 off-contract, which means it will be much more affordable with a contract price. The verdict: another point for Apple. The phone is also supposed to be made of plastic this time around, modeling itself after popular durable Android models that have begun to outsell the technology giant. Since the iPhone came out, the glass design has been one of the biggest problems with consumers. Now, there is possibly no need for an Otterbox, and the sleek phone will match up to the durability of the Android models. Yes, another point for Apple here. There are other rumors as well that have not yet been confirmed, but are still circulating around the technology world. The new phone is said to possibly have a better battery life, as this is notoriously short. It is also said to possibly have a bigger screen, which is happening with many phones on the market now. In addition, the phone will possibly have the capability of surfing the web while talking. Some Android models have been able to do this, and the feature has been very popular. The rumors may or may not be true about the new Apple phone. That is something that will not be uncovered until the reveal, so be sure to tune in. If the rumors are true, though, this new phone may be a good thing for both the company and its customers.